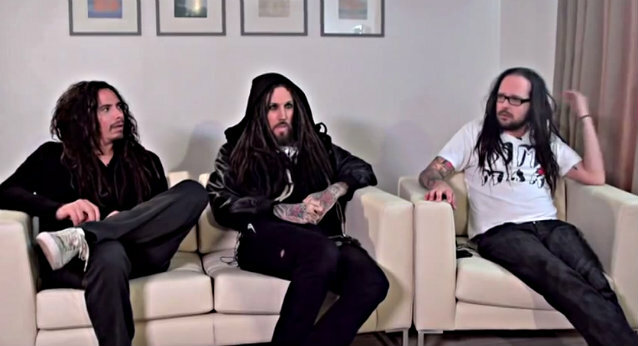 Earlier this year, Terry "Beez" Bezer of Scuzz conducted an interview with KORN's James "Munky" Shaffer, Brian "Head" Welch and Jonathan Davis. You can now watch the full chat below. KORN's eleventh studio album, "The Paradigm Shift" (Prospect Park), sold 46,000 copies in the United States in its first week of release to land at position No. 8 on The Billboard 200 chart. The CD arrived in stores on October 8 via Prospect Park. "The Paradigm Shift" is the first KORN disc to feature Brian "Head" Welch since 2003's "Take A Look In The Mirror" and follows up 2011's dubstep experiment, "The Path Of Totality". Welch recently told Rolling Stone that the new album has "the old KORN vibe, but with a new twist . . . 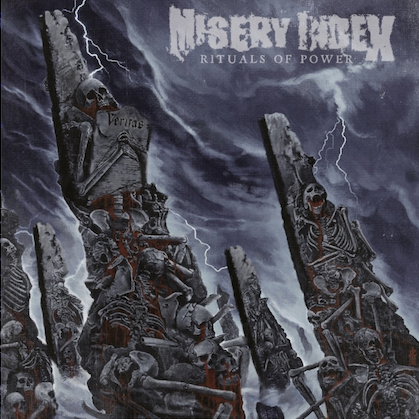 The end product is a really good mix of old KORN mixed with some new elements. It's got a fresh new KORN 2013 sound." Welch left KORN in 2005 after he converted to Christianity and got off drugs. He rejoined them for a handful of live performances last year before officially becoming part of the lineup again in early 2013.